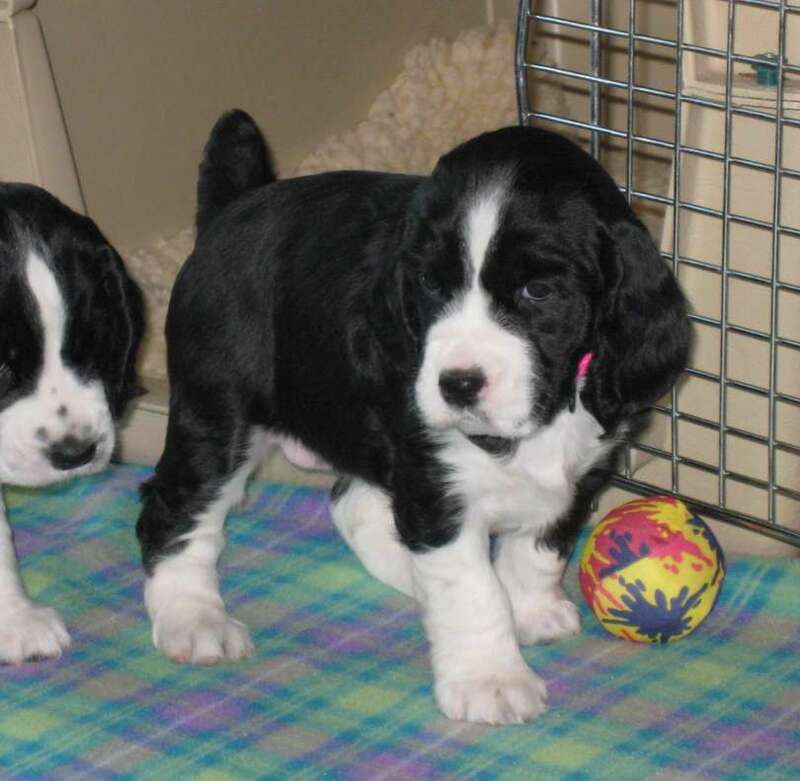 The puppies are pictured below in candid shots from five weeks to seven weeks of age. All of the puppies are named in honour of our "Queen" Victoria & are named after "A" names of Queen Victoria's children. 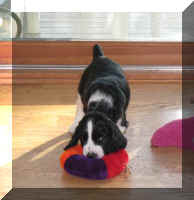 Please click on a picture to open a larger version of it in a new window. 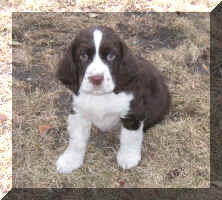 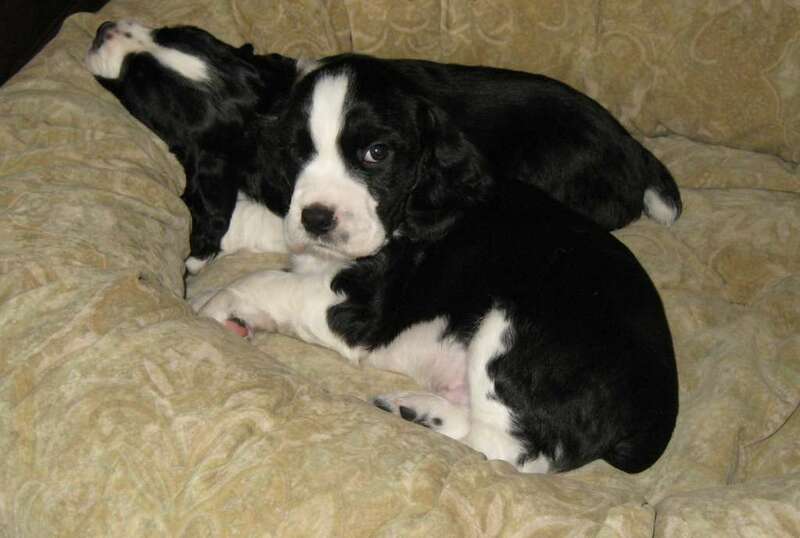 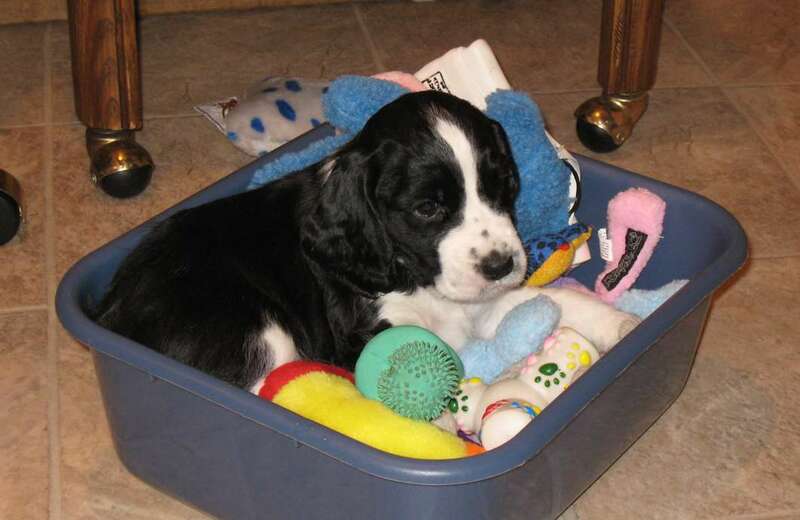 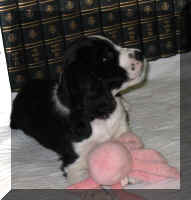 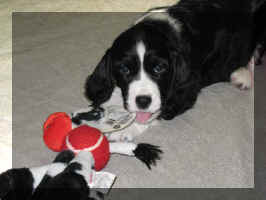 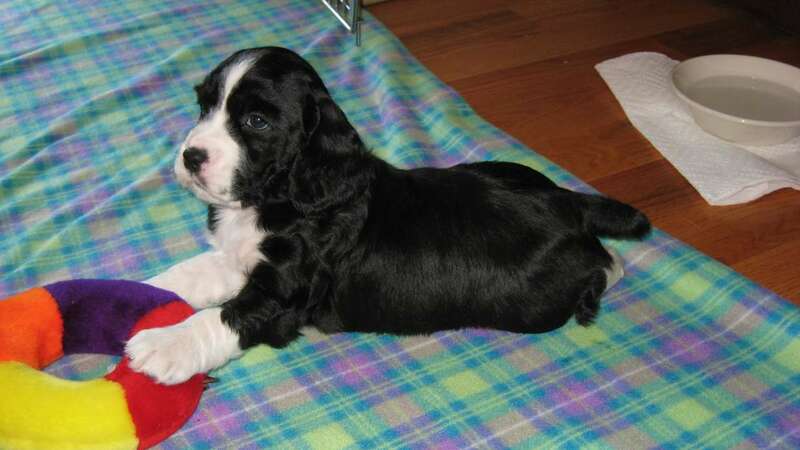 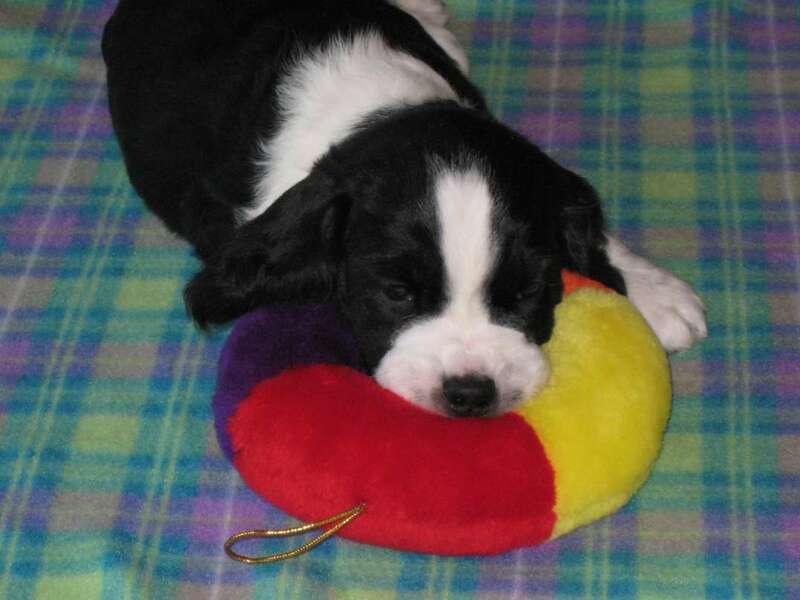 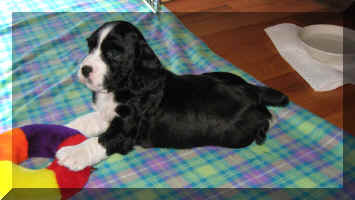 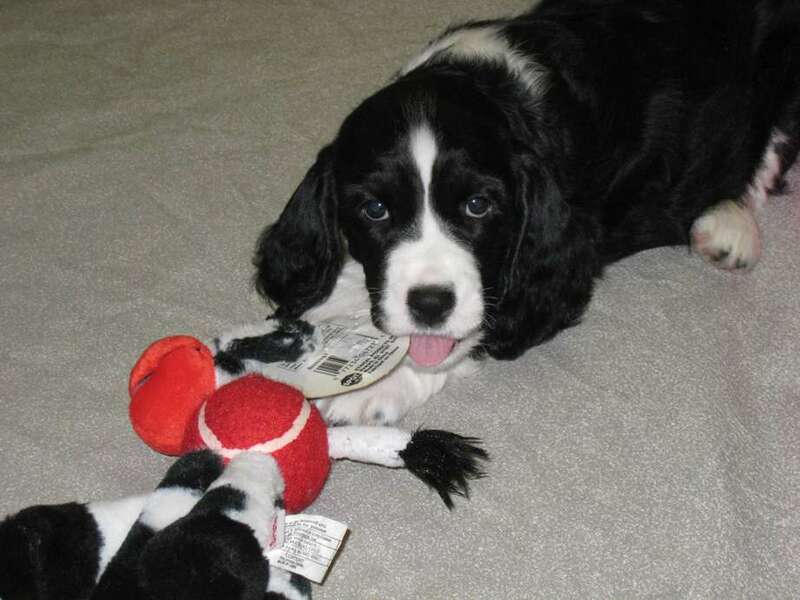 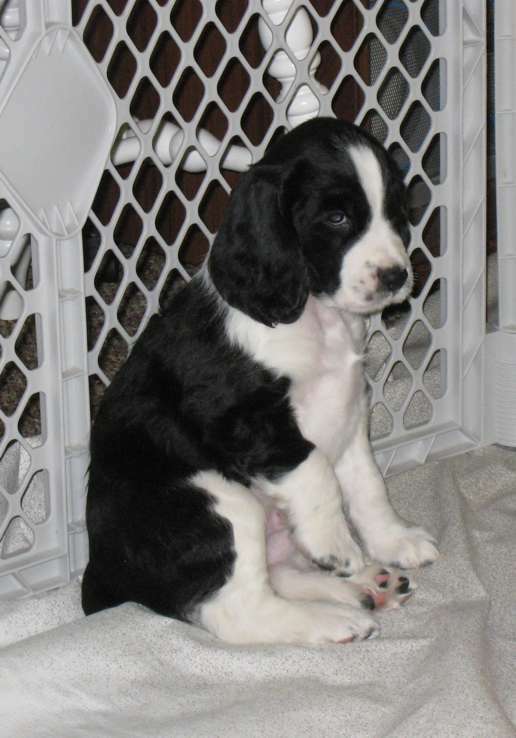 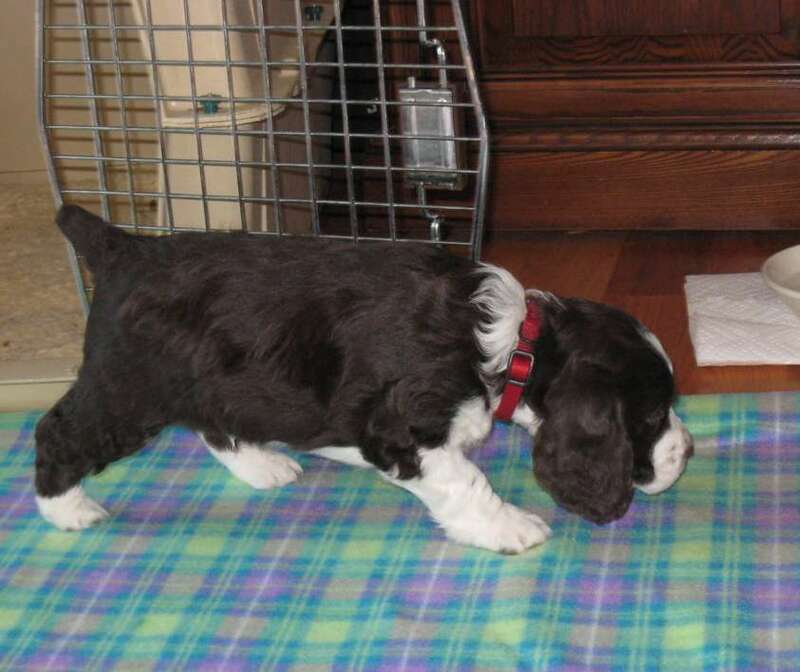 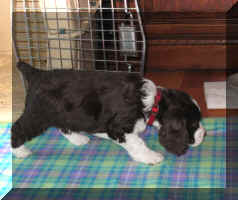 Copyright © 2009 Lynn, Anne & Barb Dorsay, Bondir English Springer Spaniels. 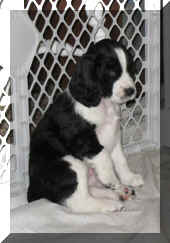 Last revised: November 24, 2009 .